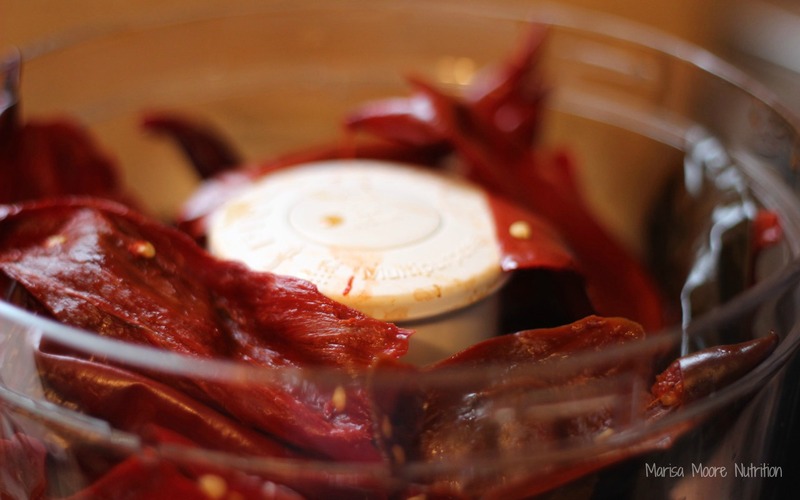 Try it Tuesday - How to make and eat harissa! If you didn’t know, harissa is the new sriracha. If you’re thinking sri.. what?! Maybe you missed the sriracha (see-rah-jah) bandwagon? No worries. There’s a new spicy sauce on the scene. Harissa. Like many “new” things… it’s not really new. Harissa is a complex, spicy hot sauce native to North Africa. Used as a condiment for years, it’s a blend of spices (typically toasted coriander, cumin and caraway), lemon juice, garlic, olive oil and spicy red peppers. Last year, I did a talk on trends in ethnic cuisine for the Atlanta Foodservice Expo and became intrigued by harissa and the many ways it could be used. Given the opportunity and using traditional recipes as a guide, I made it at home. I shared a recipe for Honey-Harissa Roasted Carrots featuring my version of it in the most recent issue of Food & Nutrition Magazine. I used a combination of guanjillo, puya and ancho chiles (more on those in a later post). Rehydrating and seeding the peppers took the most time – and it got a lot messy. But once that was done, a quick whirl in the food processor with the other ingredients delivered a rich, fiery condiment that was ready-to-use for a couple weeks. Once you go through the fun process of making your own harissa, you’re gonna have plenty to go around – the recipe makes about 2 cups. It’s good but believe me you don’t want to eat this stuff with a spoon! 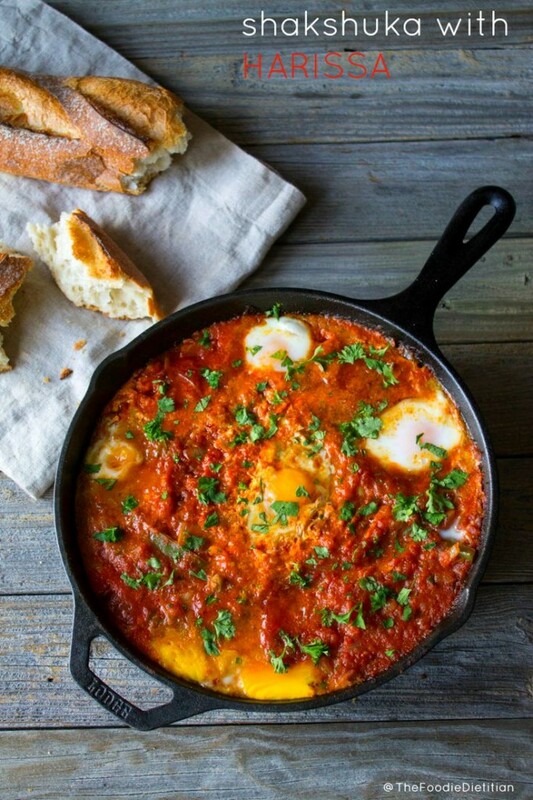 Add a little spice to your Sunday brunch with Kara’s Shakshuka with Harissa! 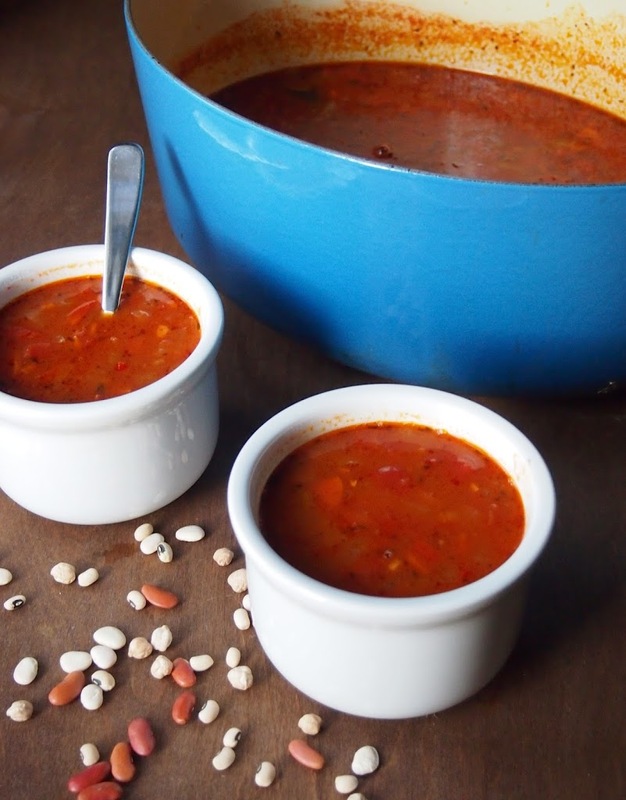 Spring may be in the air here in the south but it’s still plenty cool enough outside for this Spicy Harissa Bean Soup from Rachael at Avocado a Day Nutrition. 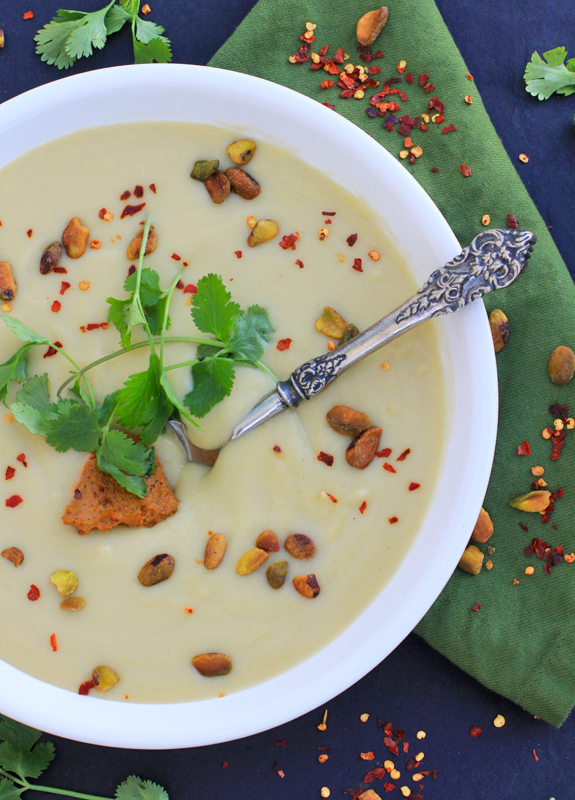 This Creamy Cauliflower Soup with Pistachio Harissa Pesto from E.A. Stewart, the Spicy RD is another comforting cool weather meal. 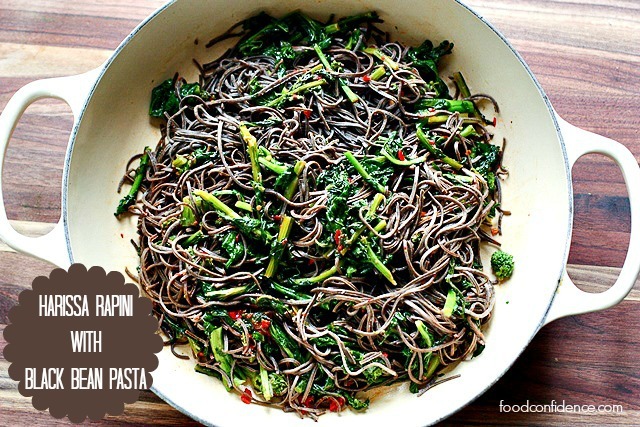 Fill up on a bowl of Harissa Rapini with Black Bean Pasta from Danielle of Food Confidence. And I can think of many uses for Rachael’s Harissa Tomato Sauce including this one. 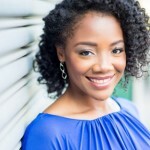 If you didn’t know… Rachael is the southeast food blogger harissa queen. 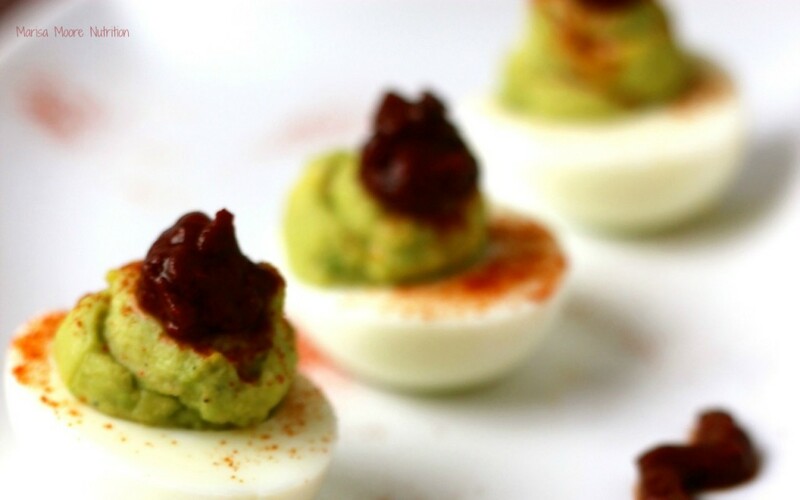 And for a spicy snack, try my Harissa Avocado Deviled Eggs. These ain’t no ordinary deviled eggs! 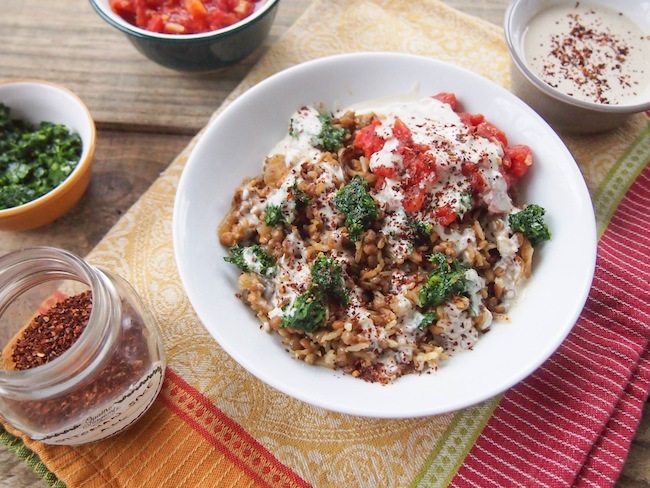 Are you hungry for harissa now? I think you already know the conclusion for today’s Try it Tuesday but I’ll give it to you anyway. Bottom Line: Try it! Make your own or buy a high quality paste. 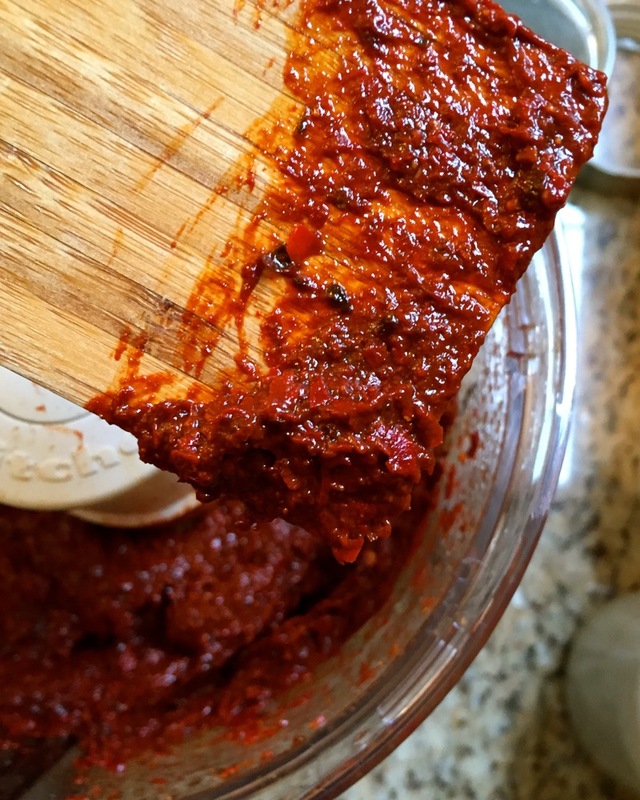 I’m usually a little reluctant to try super spicy foods but in doing my research on recipes for traditional harissa, I was intrigued by it’s complexity. I have to tell you, it doesn’t disappoint. 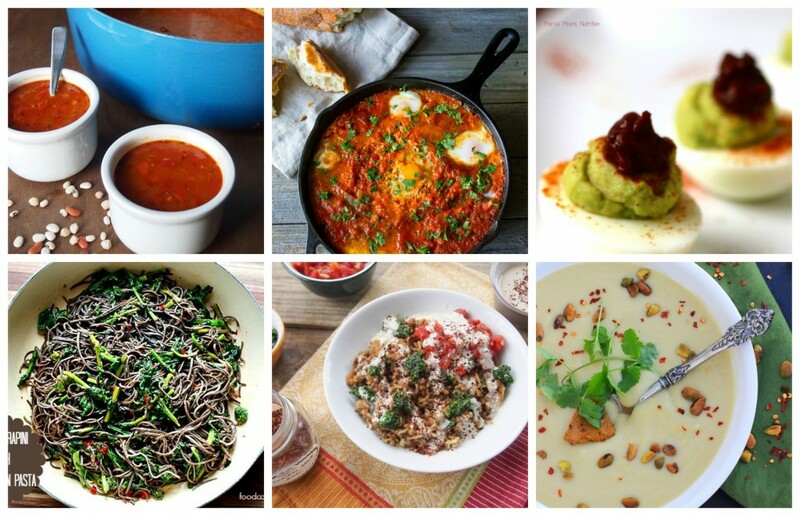 10 Comments on Try it Tuesday: Harissa!